Archives_2005_to_Present #178 – The Rise of the Pot a photo by kuantoh on Flickr. This shot was taken with a Nikon D700 in Singapore, 2010. A sunrise at Changi Beach CP6 yet again. 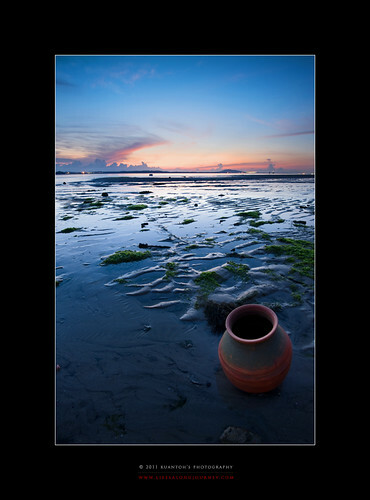 This time with a very good condition pot at dawn just before sunrise. The exposure was just right with the help of a 3 stop GND. The sand formations sort of complement the pot, giving it more depth and the colors gives the overall feel of the pot shouting for attention against the sunrise. Archives_2005_to_Present #177 – King of All Rocks a photo by kuantoh on Flickr. This lone rock in the background should be the king of rocks along CBW. Standing at a height of about 2.3meters against the waves and winds, its a sight that you wont miss while strolling along the boardwalk. This was a sunrise shot, which was not really a popular sunrise location as it’s backlitting the big rock. However, it gives it a sense of majesty as it leads all the rocks “out at low tide”. Archives_2005_to_Present #174 – Rise of The Decepticons a photo by kuantoh on Flickr. 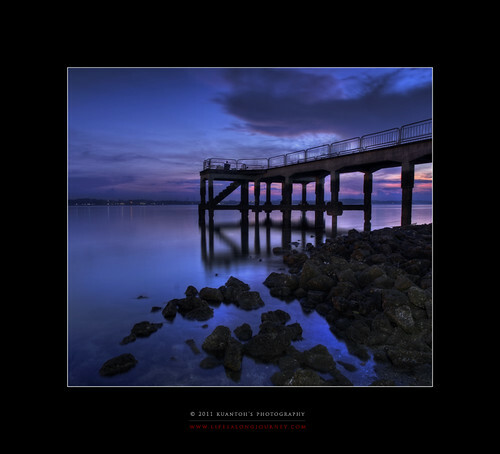 Archives_2005_to_Present #173 – Sembawang Jetty at Dawn a photo by kuantoh on Flickr. Not a regular sunrise hot spot for me. The area was littered with plastic bags and debris. Waters were not clear. Nevertheless, when all seems to be gone for this particular morning sunrise, the colors came out from background to lit up the day. Sembawang jetty is a hot spot for fishing and campers overnight. At low tide, this area do have a little bit of potential. Archives_2005_to_Present #171 – Hand in Hand We Stand a photo by kuantoh on Flickr. Punggol “Botak” Trees. This area was to be developed into a recreational area as part of the Punggol massive development plans. Before these trees were “exterminated”, we decided to have a final shootout with them during sunrise. Another shot of these trees, this time featuring 2 of them seemingly leaning towards each other, reaching towards just like sending out a message that hand in hand they stand, together they fall. 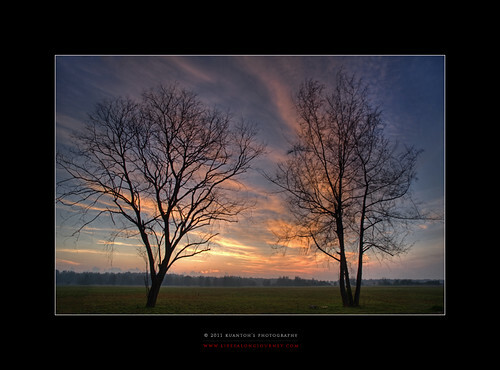 The sun was fast rising behind, litting up the skies and clouds, creating this wonderful mood with 2 of the botak trees. 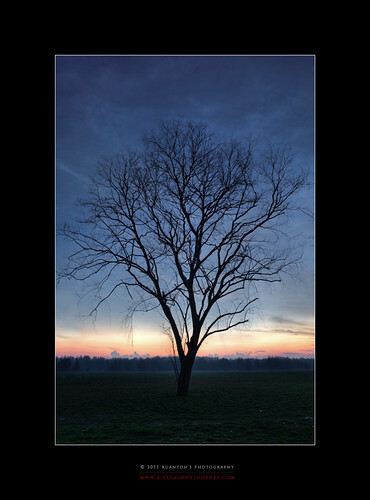 Archives_2005_to_Present #170 – Dawn Upon a Lone Tree a photo by kuantoh on Flickr. Punggol “Botak” Trees. This area was to be developed into a recreational area as part of the Punggol massive development plans. Before these trees were “exterminated”, we decided to have a final shootout with them during sunrise. The dozens of dogs there were certainly not spotted till day breaks and they were dilligently watching at us to make sure we do not cross into their territories. This was shot at dawn just before the sun rises. 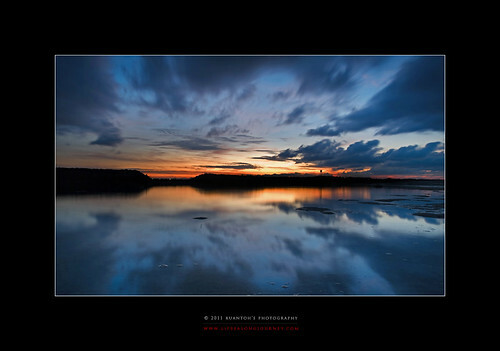 Archives_2005_to_Present #167 – Reflections on Kukup a photo by kuantoh on Flickr. 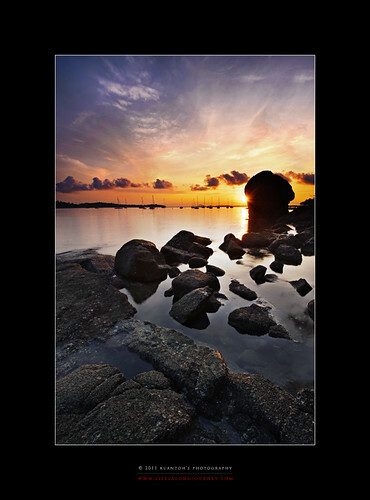 his shot was taken with a Nikon D700 in Singapore, 2010.